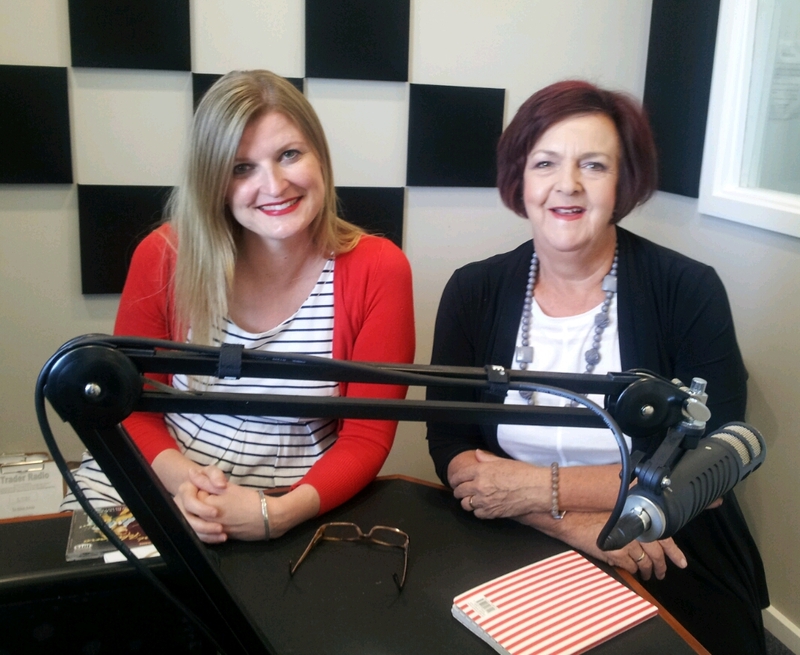 Manager of Wattle Range Libraries, Janice Nitschke, recipient of the Member of the Order of Australia has put the national spotlight on Millicent and she spoke with Rebekah Lowe on 5 THE FM about the Award, her work in Libraries which spans 45 years, and working in her home town of Millicent. “This morning we are speaking with Janice Nitschke, Manager of Wattle Range Libraries to find out about her work but the most important thing we want to talk to her about the tremendous honour she received in recently being awarded the Member of the Order of Australia,” said Rebekah. “I received a letter in November 2013 telling me I had been nominated, asking me if I would accept the award. I thought about it long and hard. I am just a normal country person doing what I enjoy doing and serving the community at the same time,” she said. Rebekah asked Janice how things had changed since the announcement. “I worked in the library to begin with and it was a job but it wasn’t long before the passion took over and has remained with me to this day,” said Janice. “What is it that keeps you motivated,” Rebekah asked Janice. “It is an opportunity to grow partnerships, work with the community, meet people and provide another space for people. They have home and many have a work space but the library is the third space they can belong and I like providing that, “Janice said. Ms Nitschke has won a long list of awards during her career and held many board positions. In 1986 The Hockeridge Scholarship and travelled to Texas, 1986 -1984 President of PLSA Representing Country Libraries, Libraries Board LGA 1989, started the first Mobile Library service in the State and received a grant to do this from the CMV, 1996 The ALIA Merit Awards, 2002 The Crawford Inaurgural Crawford Award, 2005 The Churchill Fellowship and The LGA Service Awards for 25 years of service. Ms Nitschke said she had had wonderful mentors in Jim Crawford, Des Ross, and Wendy Compana. Peers in Anne and Ian Short shared, listened and advised me when I needed it, and also Vanessa Little who I still sit on the National Committee with. “Why did you stay here in Millicent, you must have had opportunity to move away?” Rebekah asked. The Library will host Local History Meeting with John Drew as the first speaker on 3rd Tuesday in February, author Michael Robothan noted Australian crime writer will be a guest at the Library on February 19th at 10-00 pm. Ms Nitschke said she was proud and humbled at this recognition, realising that this award is not given lightly and wanted to use this opportunity to thank those who had nominated her. “Congratulations Janice, as a community we are all proud of your work and your achievements which has been recognised with this prestigious award -thankyou,” said Rebekah. Editors note: The announcement of Ms Nitschke’s Award brought the following responses to 5THE FM/wattlerangenow, from local community members. Jan Richards Manager Central West Libraries said, ” What a day to celebrate the awarding of an AM to our own Janice Nitschke. A very well deserved honour. Well done lovely friend. Ms Nitschke’s birthday is also on Australia Day and celebrated with staff this week. 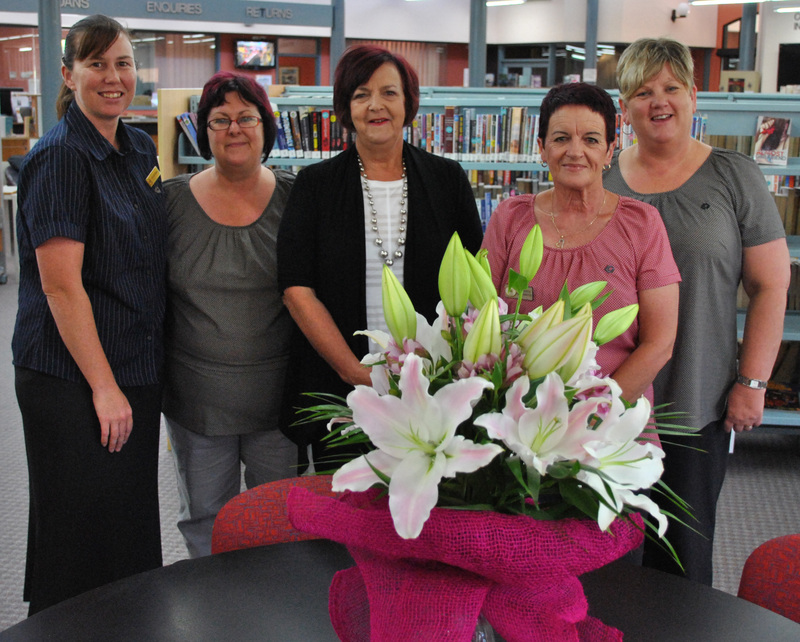 Recipient of the Member of Order of Australia Medal Janice Nitschke is wished a happy birthday by Library Staff. Categories: Community Groups, Events, General News, Human Interest, Local Government, Mount Burr, Wattle Range | Tags: 5THE FM, Janice Nitschke, Member of the Order of Australia, Rebekah Lowe | Permalink.